Whether you want to buy property or rent, a long list making up the best places to live in Antalya, Turkey, presents you with the Turkish Mediterranean lifestyle in all its glory. Moving to Antalya is taking a journey into one of the country’s most cosmopolitan regions, and potential expats will have a hard time deciding where to live, just because most towns and villages make foreigners feel right at home. To be clear, when we speak of Antalya, we refer to the region. While the city centre is a functioning metropolis, smaller coastal resorts have also become home to hundreds of foreign expats. So much is their allure, the Antalya region is the second most popular place in Turkey for tourism, and foreign house sales. From the rustic village of Cirali to the bustling hub of Alanya, people who plan to move to the region will find a destination to fit their lifestyle beliefs. However, which are the most popular areas for property buyers and expats? Which also prove to have better standards of living when looking at the full range of amenities like transport links, shops, bars, nightlife, and banking? 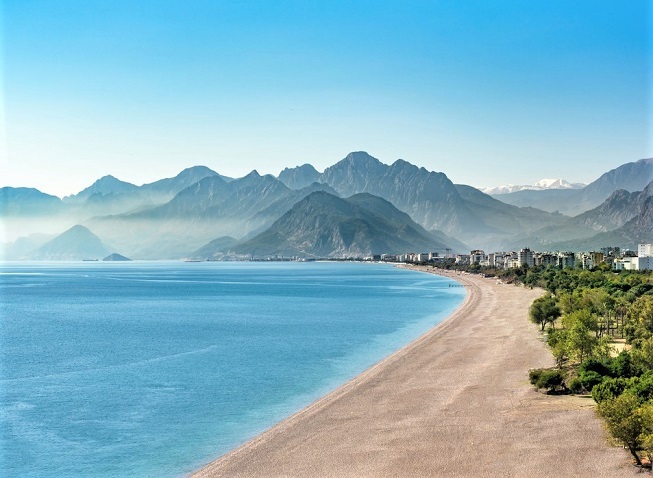 As one of Antalya’s oldest tourist resorts, the coastal Lara beach neighbourhood is also a firm favourite with foreigners of many nationalities who live there all year round. Sandy beaches and the warm Mediterranean waters are a big lure. Trip Advisor ranked the main beach as number eight of the best in Turkey, but there is much more to Lara beach than that. Expats who want an active social scene will feel right at home thanks to the many bars, restaurants in the nearby city centre, and themed clubs and yearly events. Shoppers enjoy weekly bazaars but also a large shopping mall with modern, international brands continuing Antalya’s worldly theme. The bonus that Lara beach has which other destinations cannot match is that when the flights end in October, and the tourists go home, life in Lara still carries on. It is also the closest area to the state-of-the-art Antalya Airport, that is the top touristic air hub in Turkey. Despite the prominence of Lara, do not think it is all about the hustle and bustle because low key neighbourhoods present a tranquil lifestyle and those stunning mountain and sea views make you feel you have found your idyllic home from home. See property for sale in Antalya City centre. Sitting just 20 minutes’ drive from Antalya Airport, Konyaalti is the second most popular place to buy property and live in Antalya. Its beach also appeared on Trip Advisor’s top ten list of sandy havens in Turkey, but the other reason for the increased interest from property investors is the planned Bogacay development that will see Konyaalti become home to a world-class marina. Marketed as one of the best on the Turkish Riviera, its ability to host mega yachts will put it on the global sailing map. Despite the future potential, budget buyers can still get their foot on the Turkish property ladder in Konyaalti, and the full range of social amenities like bars, restaurants, shops, and transport links makes it an all-rounder for families, couples and single people living on their own. Should you want to step it up a notch, regular bus services into the city centre and other destinations in the Antalya region make getting around so easy. While the centre receives all the attention from expats looking to move to Antalya, do not look past the growing influence of Alanya sitting at the far eastern tip. In recent years, since the Gazipaşa Airport opened, it's grown to become a holiday and expat destination with a wide range of attractions. Such is the choice of amenities on your doorstep; there is no need ever to leave Alanya. The Avsallar district is ideal for budget buyers while many foreigners live in Tosmur and Kestel. Regions in Alanya centre worth looking at include Guller Pinari, Hisarici, and Saray Mahallesi. Otherwise, people who want a beachfront lifestyle should look at the neighbourhoods of Konakli, Mahmutlar, and Cleopatra’s beach that TA said was the best in Turkey. Also, read Living in Alanya: Why Foreigners love this Mediterranean hub. 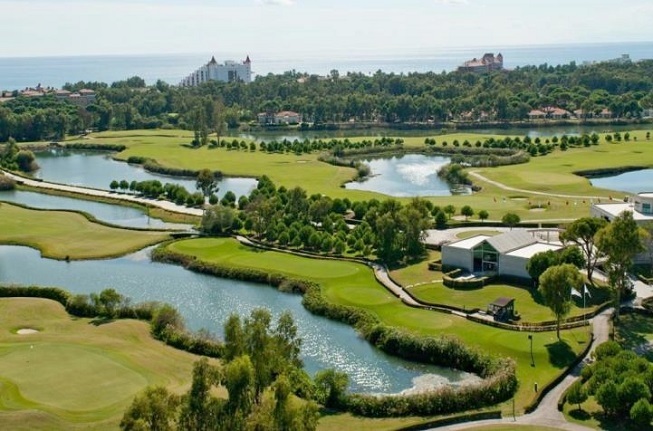 One word sums up everything about Belek, and that is golf. With over 15 world class championship golf courses, that have hosted famous names like Tiger Woods and Barack Obama, it is not only the golfing capital of Turkey but also outranks places in Spain and Portugal as the ideal place to live out your golfing retirement dream. If swinging your club into the 16th hole is not your idea of fun, plenty of other amenities still make Belek a fun place to be. While it does not have the sizeable all-inclusive shopping malls that Antalya city centre does, there are enough establishments within the resort for day-to-day living and should you want to broaden your choices the city centre is 40 minutes’ drive away. Read our guide to living in Belek. Ah, Kalkan. While it is a lesser talked about place of the larger Antalya region, it is home to a small community of foreigners who adore it with all their hearts. The town differs from others in that most properties for sale and rent are large all-inclusive villas. Once you see the landscape, you will understand why. First, strict building laws prohibit tall skyscrapers, and elevated land status as it edges away from the coastline gives up a dramatic view of the Mediterranean Sea. If cash is unlimited, the striking architecture and home décor design of millionaire luxury villas in Kalkan take pride of place on Turkey’s real estate market. 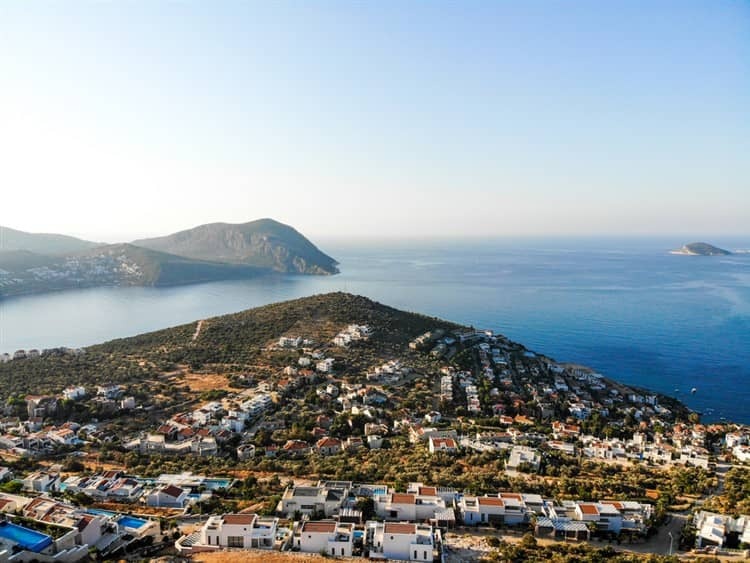 Anyone planning to live in Kalkan has six neighbourhoods to choose from, and all offer something unique.